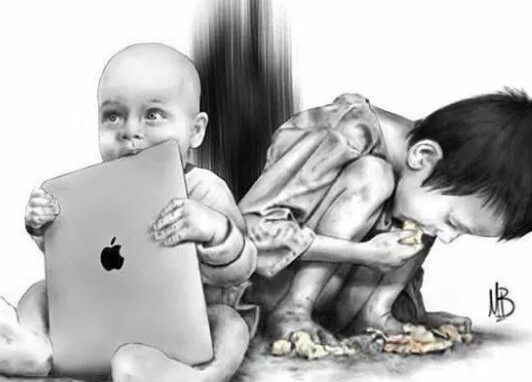 Take about a minute to study the illustration above. 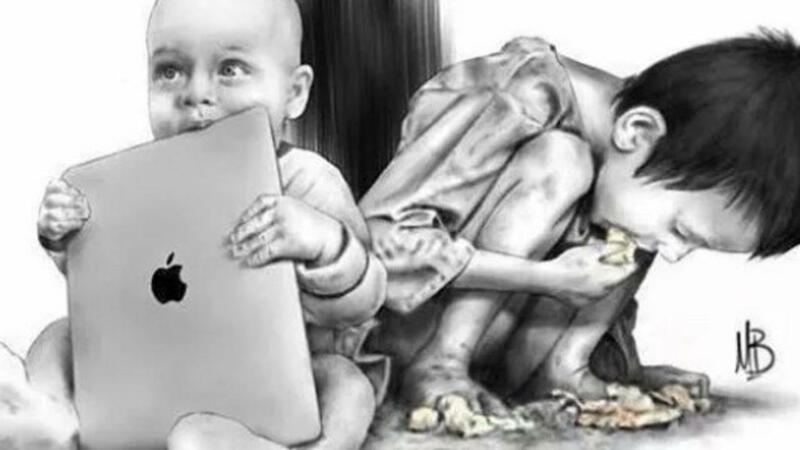 Move your eyes back and forth between the child with the iPad and the child eating off the ground. What do you feel? This hit me like a punch in the stomach. It says what I haven’t been able to find the words to say for a while now. Here in Central America I live in the tension that you feel when you look at this image. It’s an uncomfortable place, I admit. I’m much more comfortable in my middle class home in Alabama, watching House Hunters on TV, surrounded by all my iThings and justifying the couple hundred dollars of recent purchases I just made on frivolous stuff for myself. I mean, I’m not rich and wasteful like thosepeople, right?